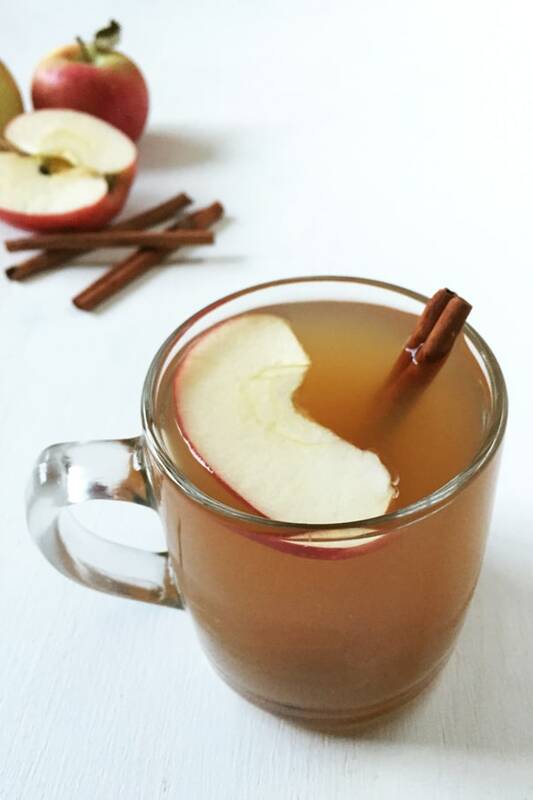 Homemade Apple Cider is so easy to make and will make your house smell amazing. 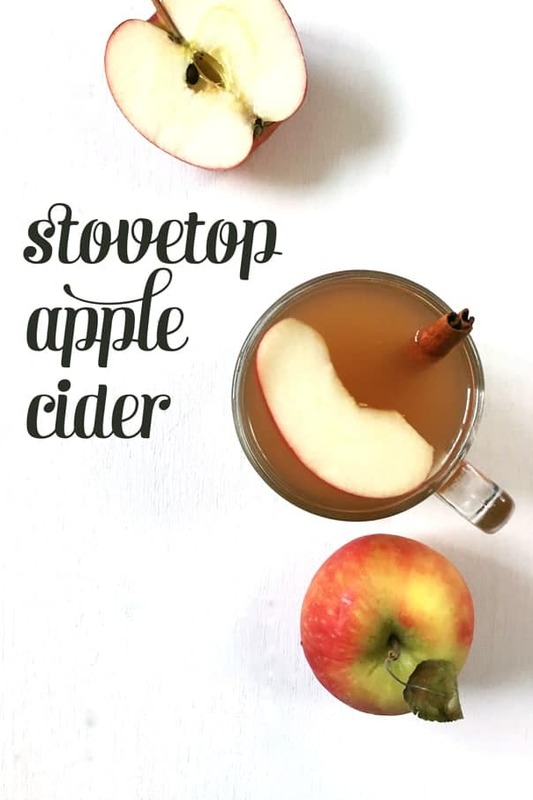 It’s the perfect drink to make with autumn apples! Want to know the secret to the perfect smelling house in autumn? That’s an easy one. Homemade Apple Cider. Make a big batch, and your house will smell like heaven. Pure, unadulterated, 100 percent spicy, homemade apple cider deliciousness. 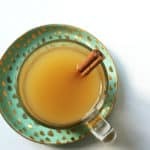 If you’re having a party this fall, Homemade Apple Cider is an easy warm autumn beverage you can make ahead. And it’s so much better than anything store bought. Emphasis on the easy. 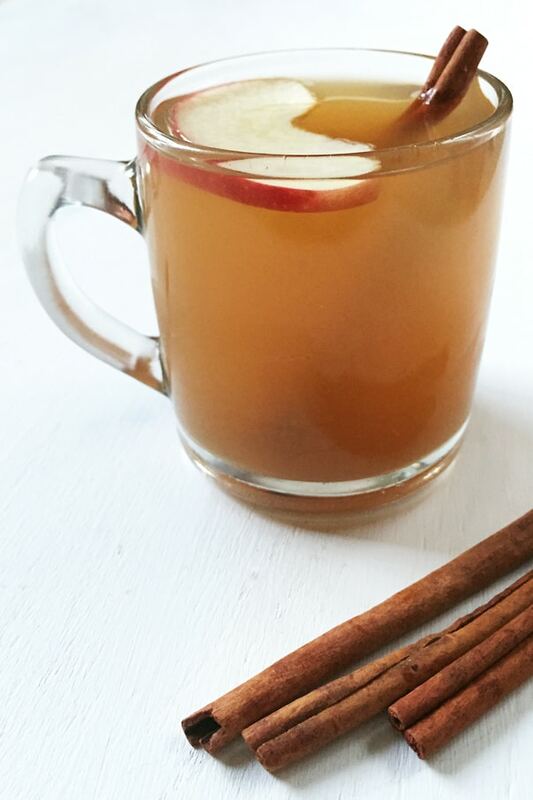 Homemade Hot Apple Cider really just requires a handful of ingredients. It really only requires 15 minutes of hands-on time, the rest is just letting the cider simmer for a few hours. Fresh apples, citrus, whole spices and some sweetener are all you need! This is the perfect way to use any apples that you picked at the orchard. The only thing you might need to pick up at the store is some whole spices. I like to purchase whole spices in bulk – I often find them at Mediterranean or Middle Eastern groceries, or you can even purchase them online. 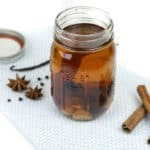 If you’re looking for other ways to use the whole spices you purchase, you can use them to make Homemade Spiced Rum, Homemade Chai Concentrate, Russian Tea, or Mulled Wine. Fill a giant pot with quartered apples plus a quartered orange and lemon. Those last two are to add a tart flavor to cut the sweetness of the apples. To get the best flavor, I like to use a variety of apples instead of all one type. Next, you’re going to add spices, but they have to be the whole kind. You can add whole cloves, cinnamon sticks and whole nutmeg pods. 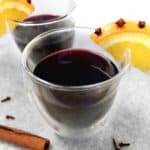 You could even add a small piece of a star anise pod (but star anise is quite potent so don’t put in the entire thing). Cover everything with water, and bring to a simmer. Reduce the heat, and let it cook for a few hours. You’ll know it’s getting close when your place starts to smell like fall. You’ll need to do a little mashing and straining to finish making your Homemade Apple Cider, but that’s pretty much it. Once your Homemade Apple Cider is ready to go, stir in some sugar and maple syrup (or whatever sweetener you desire). And then, serve it warm! 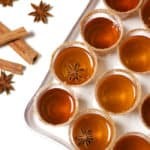 If you want to make Homemade Apple Cider ahead of time, cover and refrigerate it until it’s party time, then reheat before serving. Maybe even spike your Homemade Apple Cider with a little whiskey, bourbon or rum if you so desire. Quarter the apples, lemon and orange. Don’t worry about cutting out the stem and seeds. Layer the fruit in a large stock pot with the spices. Cover with water. Bring to a simmer. Reduce the heat to low and cook for 2 hours. Use a spoon or potato masher to mash the apples, orange and lemon. Cook for another 1 hour. Strain the cider into a large pitcher or bowl to remove the fruit and pulp. Mash the juices out of the remaining fruit. Stir in the sugar and maple syrup (or whatever sweetener you desire) until dissolved. Stir in alcohol if using. Serve warm.